The Swan at Lavenham Hotel & Spa is set in the beautiful medieval village of Lavenham, Suffolk. Located in a 15th century Guildhall building, the hotel offers a range of dining options for lunch, afternoon tea and dinner. Guests can choose from informal eating in the contemporary Brasserie overlooking the courtyard garden to sumptuous fine dining in the elegant AA two rosette Gallery Restaurant. 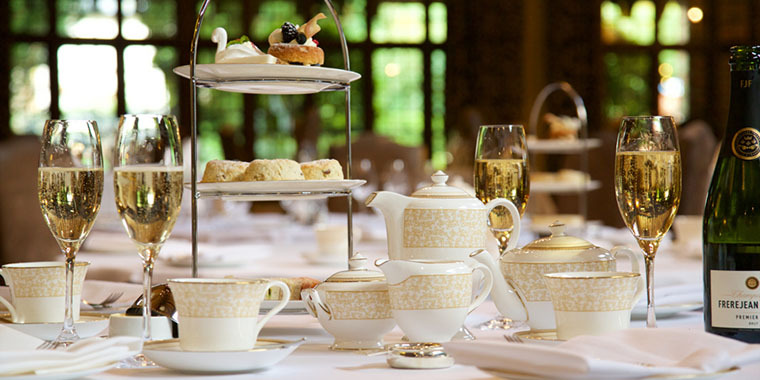 To create a quintessentially British afternoon tea experience, The Swan wanted a bespoke fine bone china collection to perfectly complement its opulent restaurant setting. 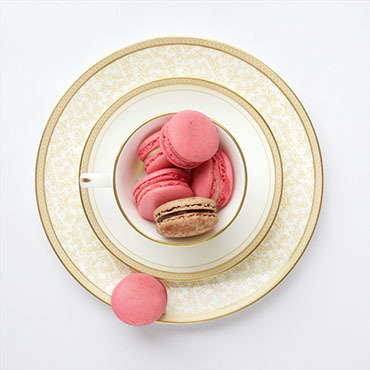 Royal Worcester was the brand of choice for its prestige, provenance and classically English collections of fine bone china, some of which have been commissioned to the British Royal Family. The Swan’s British heritage and unique style were two key elements the hotel wished to highlight. By choosing our Hospitality & Restaurant Collection team to develop their new tableware range, they had the guarantee all pieces would be meticulously made in Britain and with the flexibility and tailored service they were after. The Swan worked closely with our Hospitality & Restaurant Collection team and together created a totally bespoke fine bone china collection. 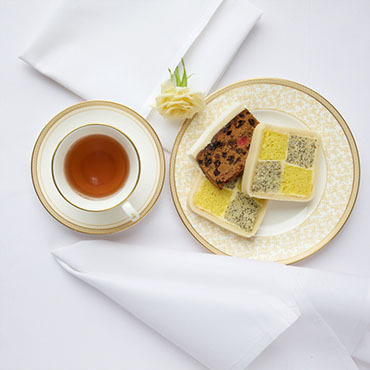 The design was inspired by pattern elements existent within The Swan, and new shapes were created to complement the Royal Worcester Garrick collection, the chosen range for the hotel. The Swan finally achieved the engaging visual style they had dreamed for their guests.